Designworks has a range of WordPress Themes that cater for a broad range of businesses. Themes are prebuilt templates and provide a cost-effective alternative to a bespoke design. 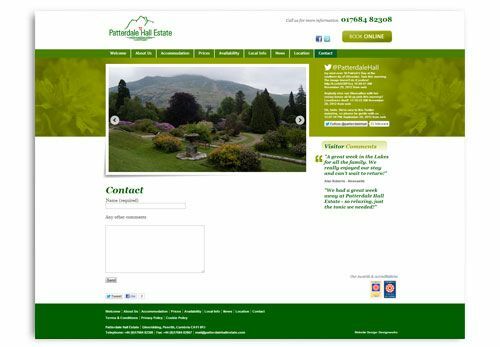 Patterdale Hall Estate has used our Accommodation Theme for its website. You can find out more about our WordPress Themes by clicking.